How will moderate John Hickenlooper’s fundraising compare to bigger names? Monday morning, former Colorado Gov. John Hickenlooper (D) announced he will pursue the 2020 Democratic nomination for President. As a former governor of a swing state, Hickenlooper presents an outsider and Western option in the crowded Democratic field. With a background as a geologist and brewery owner, the politically moderate Hickenlooper was mayor of Denver from 2003 to 2011. In 2005, Time named him one of the five best mayors in America. As governor, he successfully pursued tighter gun control policies after the 2012 Aurora movie theater mass shooting. He was initially opposed to Colorado’s ballot measure legalizing marijuana, but has since changed his views and suggested that the state’s legalization has worked. After he was the chair of the National Governors Association from 2014-2015, Hickenlooper was discussed as a potential running mate for Hillary Clinton in 2016. A sticking point among Democratic primary voters may be Hickenlooper’s longtime support of the fracking industry as governor. Climate change and environmental policy will likely be a common campaign issue, especially since fellow governor and 2020 candidate Jay Inslee has made that his signature platform. Another potential problem for Hickenlooper’s young campaign is an ongoing ethics complaint that alleges he improperly accepted corporate gifts like free lodging when he was governor. Although Hickenlooper ranks very low, if at all, in national polls so far, he has thrived as an underdog before. When he ran for mayor of Denver, he started off the campaign at 4 percent before going on to win. Competing in a crowd of big fundraisers may be tough for Hickenlooper who doesn’t have much of a national fundraising profile. For the 2018 midterms and in anticipation of a presidential run, he did launch a leadership PAC, Giddy Up PAC, which raised slightly more than $600,000 in the cycle. No corporate PACs contributed to Giddy Up in the 2018 cycle. Running the PAC is Brad Komar, who has been Hickenlooper’s gubernatorial campaign manager since 2014. The PAC left a light federal spending footprint, contributing just $11,000 to nine House and two Senate candidates. It also contributed $2,500 to the Democratic Party of Iowa, which hosts the opening caucus of the primary season. The Iowa Democratic House Caucus received a $5,000 contribution. A number of nonfederal candidates also received contributions including Stacey Abrams in Georgia and Andrew Gillum in Florida. A large chunk of the PAC’s money, $53,500, went to Greenberg Quinlan Rosner Research for polling and surveys, likely as a way to lay the groundwork for his presidential run. The post How will moderate John Hickenlooper’s fundraising compare to bigger names? 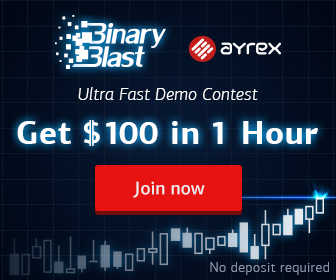 appeared first on no deposit bonus forex News.